Van Gaal was not the only one reason for Di Maria to step aside – Winger Paris Saint-Germain, Angel Di Maria, did not deny his move from Manchester United was backed figure by Louis van Gaal. 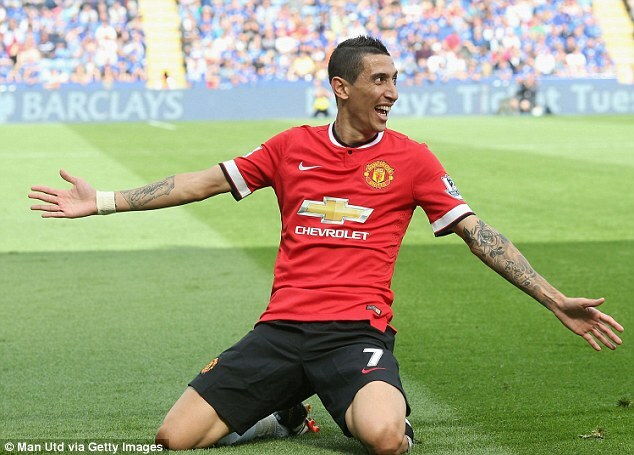 However, Di Maria also expressed that his family feels uncomfortable at their home in Manchester. There is an unpleasant experience, while Di Maria and the family lived in Manchester. In January 2015, three masked men came to the residence of Di Maria in Prestbury, Cheshire village. As a result of the incident, he and his family had moved to Lowry Hotel where located in the city center in order to get security facility. Di Maria said that after January, he had no reason to endure. His family was unhappy and his daughter suffered. In addition to family factors, Di Maria also took the decision because of the lack of opportunity to play. He only recorded 20 appearances as a starter on the Premier League stage. It is not separated from the relationship with manager Louis van Gaal. Di Maria said that he did not have a good relationship with the coach. He thinks the decision to join PSG is the best choice. The Argentine player also said that living in the UK is a little difficult for South American players. Some of them adapted well, while the remaining difficulties. On August 6, 2015, Di Maria received a proposal PSG. With the price of 63 million euros, he entered the list of top five most expensive transfer of the summer 2015.